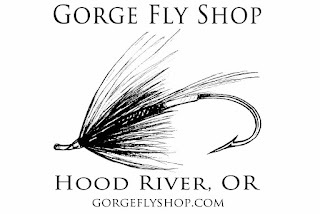 Since the introduction of the Olympic Peninsula Skagit Tactics Commando Heads, the world of skagit spey casting has forever changed. I've seen a lot of change in the fly fishing industry but I can't recall anything that has been more tactic changing than this. Not only did Commando Heads change Two Hand Skagit Casting but equally has influenced a whole new generation of single hand skagit tactics. Along with this dramatic influence of Single hand Skagit Tactics came a desire to be free of the "loop". That pesky loop between head and shooting line. It's not a big deal when you fish two hand rods on big water because you spend all your time with head outside your rod tip. But when we took skagit down to small stream adventures and standard size trout rods we found that darn loop to just get in the way of such things like stripping streamers, hauling line and following fish. OPST took the original Commando Head design and integrated it with highly visible, orange, thin, shooting line of 0.025". Welcome in the "Smooth". Just add Sink Tips and your ready to trout spey. Find OPST Commando Smooth at "The Gorge"